Clinical interest: Severe Asthma and Emphysema. Unexplained breathlessness. Pulmonary Rehabilitation & Integrated care. Respiratory research interests: Cognitive function and brain pathology in COPD. Digital technologies in the assessment of lung function and interdisciplinary assessment of breathlessness. 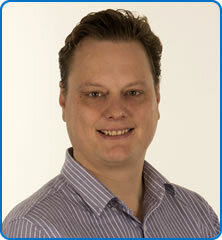 Dr Dodd is clinical lead for complex airways disease at the North Bristol Lung Centre. He trained throughout the south west region, before completing a PhD at St George's University of London. He returned to the south west in 2013 as NIHR clinical lecturer at the University of Bristol. He was appointed consultant & honorary senior lecturer in Respiratory Medicine North Bristol Trust in 2015. He is a member of the British Thoracic Society and advisor to the British Lung Foundation. He is on the evidence review group of the BTS/SIGN Asthma guideline and is a member of the South Gloucestershire CCG community Respiratory Group. Dr Dodd has been awarded research grants from the British Lung Foundation and Wellcome Trust and is principal investigator on a number of clinical trials for patients with COPD & Asthma.